It is very easy to erase songs/data’s saved in iPod drive. It requires following simple steps to erase songs/data from your iPod drive. First make sure that iTunes software is installed in your PC. It is the software which interfaces with the Apple iPod and manage file transfer from your PC to iPod and vice versa. The instant you connect your iPod to the PC to add songs or data or video the iTunes should have been installed. The latest version of the iTunes can be obtained from the apple.com website and you can install in your PC. You can connect your iPod to the PC with the USB cable which comes along with the iPod. Connect the iPod USB cable to your PC through the USB port. If auto play function is enabled in your computer then the iTunes will run automatically when you connect your iPod to the PC. If the auto play option is not enabled in your computer then you can manually open the iTunes software by clicking the iTunes icon from the desktop. The songs can be erased in your iPod by the iTunes software. First go to the ‘Music’ menu under the ‘library’ option which is found in the left side of the iTunes software window. Mark the songs that you want to erase from the iPod and then delete it using the delete key from your keyboard. Thus the music files you wanted to delete will be erased from the iPod music library. There is another way to delete the songs in your iPod if you don’t want to install the iTunes software in your PC. Then following ways to erase the songs without iTunes software from music library is discussed below. Download the CopyTrans software from copytrans.net then execute the file “copytransmanager.exe” run the application. Then connect your iPod to your PC using USB data cable that comes along with the iPod. You can browse the folders through the copyTrans application. Mark the music file that you want to erase. Then press the delete button from your keyboard and then click ‘Yes’ to confirm the delete. Now eject your iPod from the CopyTrans application. The other way of erasing the songs and data’s present in your iPod fully without using iTunes or CopyTrans can be done by full format the iPod. 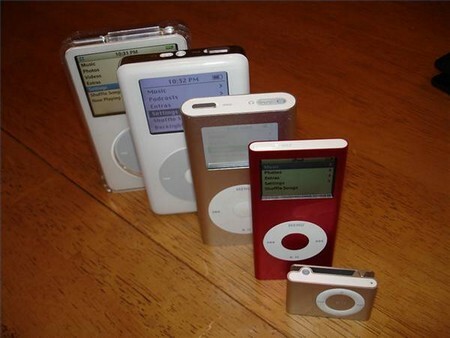 Formatting is the easy way to erase all the data’s and songs present in your iPod. Connect your iPod to the PC via the USB cable, and then open the ‘My Computer’ menu from your desktop. Right click on the iPod drive and then go to ‘Format’ menu and click it. Use ‘FAT 32’ format setting. Press the ‘Start’ button for the formatting of the iPod. After the format is over now run the iTunes application and click ‘Restore’ option to restore the required files to run your iPod. Precede these steps carefully with the instruction on screen. After that plug out and enjoy your music with the iPod.